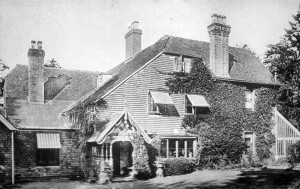 The Mynn family was well established in Goudhurst and Kilndown parish as early as the mid 1700s. William Mynn was a ‘gentleman farmer’ at Twisden Lodge in Kilndown in the late 1700s and he also owned the property that is now called Goudhurst House in Goudhurst High Street. William and Ann Mynn were the parents of Alfred and Walter Mynn. Walter Parker Mynn was born at Twisden Lodge, as it was then known, on 24 November 1804. He was baptized at St Mary’s Church, Goudhurst on 6 June 1805. On 19 January 1807 Alfred Mynn, was born at Twisden Lodge. He was baptized in St Mary’s Church, Goudhurst on 31 July 1807. Alfred lived at Twisden Lodge with his family until they moved to Harrietsham in 1825. Both Alfred and Walter became first class cricketers. Alfred’s career in cricket began when he joined the Leeds (Kent) cricket club and he soon gained recognition as a fast “round arm” bowler as well as being a good batsman. 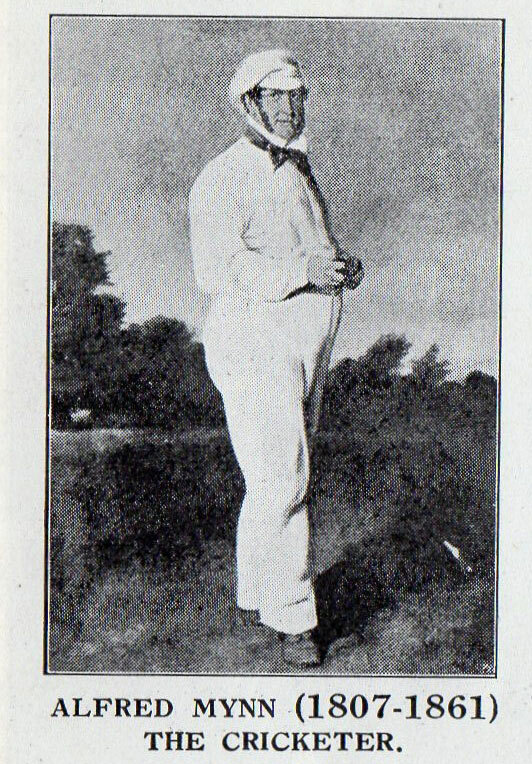 He played with the Kent Cricket Team between 1834 and 1859 earning the nickname “Lion of Kent’. He was also a member of the All England touring team. 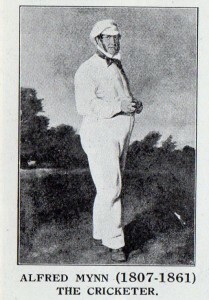 In August 1836 during a match he suffered an injury to his leg. He continued to play for some time after the injury until he was finally forced to retire from the game. He was taken to London by coach where the consultant advised him that it would be necessary to amputate his leg at the hip joint. Alfred is quoted as replying “ You may amputate my leg, but die I will before I lose the entire limb”. He went on to receive excellent nursing care and recovered from his injury sufficiently to recommence his career 2 years later. By 1847 he was playing fewer games and suffering from diabetes he eventually retired from the game in 1859. Alfred died in 1861 and is buried in Thurnham churchyard. Walter Mynn also played for Kent but his reputation as a player did not reach the same heights as his brother. He was an excellent batsman and he played first class cricket until he retired from the game in 1852. Walter died at home in Peckham in 1878 and is buried in Camberwell Old Cemetery, Southwark.